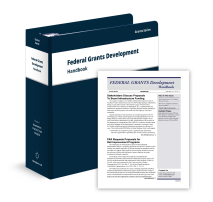 When it comes to defining federal grant relationships, you can’t afford to be anything less than 100% sure of what Uniform Grant Guidance requires. Assign roles and responsibilities into the wrong categories and things can go awry: you won’t know how to strategically perform key tasks, you won’t allocate budget funds correctly, and you could face stiff enforcement actions over noncompliance with 2 CFR 200 regulations. Why risk all that? Instead, discover a decision-making process that lets you trade guesswork for compliance—and program success. 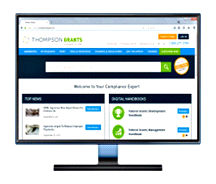 Register now for Employee, Contractor or Subrecipient? 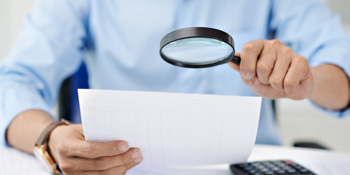 Compliance-Based Decision Making for Non-Federal Entities. This 90-minute webinar explains how the Uniform Grant Guidance affects decisions about to define relationships, roles and responsibilities. 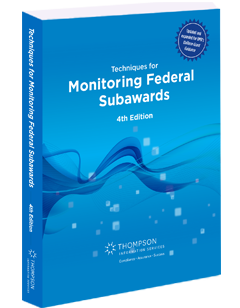 In addition to mapping out compliance requirements, Elizabeth Gombash draws on nearly 30 years of working on pre-award matters in the world of federal grants—to help you meet the real-world operational issues that can arise in managing internal and external relationships. Design and implement compliant processes. 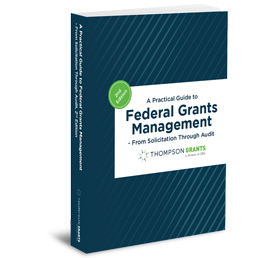 You’ll learn a compliance-based approach that helps take the guesswork out of categorizing employees, contractors and subrecipients correctly—so you can allocate grant funds to the right budget categories. You’ll also explore how to use the process to make decisions about who needs to be hired and how to handle products and/or services your organization doesn’t provide. Plus, you’ll have the chance to ask your own questions during the Q&A portion of the webinar. 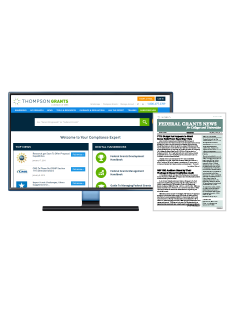 Remember, defining grant roles and relationships is critical to allocating grant funds correctly. Don’t miss this opportunity to learn how to apply a decision-making strategy that keeps you compliant—and successful.